We are truly saddened to report that bassist John Entwistle from the rock group The Who passed away yesterday in Las Vegas from an apparent heart attack. Born in the London suburb of Chiswick on October 9, 1944, some consider him among the most influential bass players of his time. John met guitarist Pete Townshend while in grammar school and formed the band Confederates in 1959. Roger Daltrey asked both John and Pete to join his band called the Detours and, eventually, drummer Keith Moon joined. An interim name of High Numbers was eventually replaced by what we all know today as the rock band The Who that came to American popularity during the British Invasion in the mid 1960s. Today was going to launch the United States tour of The Who, which has been cancelled. The Who has brought decades of hits to music lovers worldwide including "Bargain", Behind Blue Eyes", "Substitute", "My Generation", "Pinball Wizard", "Won�t Get Fooled Again"... to name a few. 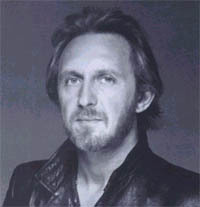 John Entwistle has been married two times and has a son, Christopher, from his first marriage. In what may be a glimpse into the future of music discs, London's Sunday Times newspaper included a promotional disc by the popular band Oasis. What makes this disc special is the use of IBM's Electronic Media Management System (EMMS) that allows for a multitude of features within a single disc. While three previously unreleased music tracks were playable on virtually and CD player, three tracks from Oasis' upcoming album, Heathen Chemistry, could be previewed on a personal computer via Spero's BigTime embedded multimedia player. Also of benefit is in the ability to go online and register to receive an electronic "key" to enjoy other tracks up to four times until July 31 when the "key" times out and becomes invalid. As if that was not enough, an Oasis music video and exclusive interview with the lead guitarist, Noel Gallagher, is also on the disc. Brinkmann Audio USA is pleased to announce the exclusive importation and distribution of the German manufactured Brinkmann electronics, turntables, tonearms and phono cartridges. Chief designer of Brinkmann, Helmut Brinkmann, has been designing and making audio components for over fifteen years. He has successfully developed and refined high-end audio circuit topologies focusing on amplification devices. Products include the Marconi and Calvin pre-amplifiers, Fein phono stage, and both integrated (pictured right) and stand alone amplification. According to Brinkmann Audio USA's managing director, Lawrence C. Blair III, a staffed demonstration, service and parts facility has been setup in Pennsylvania and soon products will be available at select audio dealers nationwide. It is no secret that many high-end audio aficionados are also watch fanatics. In an interesting twist combining the two, music lovers can now enjoy tubed clocks and wristwatches! Based around the Nixie tube, these table and wristwatch timepieces are available in both kit and pre-assembled form from Jeff Thomas of Arizona. Correction, the editor of Enjoy the Music.com, Steven R. Rochlin, has purchased the very last of the limited edition Nixie-based pre-assembled wristwatches (pictured right). Pre-assembled table clock ($1,295) units are still available while DIY enthusiasts can buy the schematics for the table clock ($79) or a kit for the wristwatch ($49). The Recordable DVD Council (RDVDC), an organization that expands and develops recordable DVD related business in order to increase use of the recordable DVD standards (DVD-RAM, DVD-R, and DVD-RW) specified by the DVD Forum, has updated the DVD Forum's DVD Multi specification yesterday. Unlike the one-off non-standard proprietary format such as Sony's SACD, the RDVDC allows insurance that DVD Multi units will adhere to playing all industry standard media through interchangeability across all DVD Multi products. Hitachi and Panasonic have announced new DVD Multi drives that read and write to CD-R, CD-RW, DVD-R General, DVD-RW and DVD-RAM discs. They can also play DVD-ROM, DVD-Video, DVD-Audio and CD-ROM discs. The DVD Multi drive unveiled by Panasonic at CeBIT also offers an unprecedented 3x write speed for DVD-R General discs, the format that can be read by most of the DVD drives an players in use today. Members of the RDVDC, a coalition of nearly 95 leading DVD technology developers and manufacturers, announced support for the DVD Multi specification. "One of the reasons the DVD Forum formats have been so successful is they provide strong, consistent platforms for software developers, OEMs and end users," said Tony Jasionowski, RDVDC North American Program Director. "Recordable DVD formats were defined to accommodate the differences in application requirements. Now, DVD Multi ensures disc compatibility and cross-device support without making the original recordable DVD formats obsolete." Recordable DVD drive sales will top 10 million units this year -- up from 1.3 million in 2001 -- and will surpass more than 40 million units by 2004 according to Jon Peddie, president of Jon Peddie Research. The recent decision by the Library of Congress that has set fees for online radio stations to pay for content has left both sides of the legal battle unsatisfied. BRS Media, an e-commerce firm that specializes in assisting radio station and multimedia websites build and brand on the power of the Web, has released details of a letter urging law makers in Washington to consider legislation that will lower webcasters' fees and overturn the Librarian of Congress's decision on Internet radio royalty rates. In the letter to Congress BRS Media's Chairman and CEO George T. Bundy stated, "The Librarian's decision on Internet radio royalty rates has already had a direct impact on a once thriving Internet sector known as Web Radio. We are encouraged that the Librarian of Congress reduced the rates for internet-only webcasters to the same level as that of AM/FM radio Internet broadcasters. But we remain terribly concerned that this rate will lead to the elimination of hundreds of small, independent, internet-only radio stations." Webcasting numbers recently released by BRS Media indicated that the number of online radio stations worldwide is now down to 4557 as opposed to early Spring 2001 when there were over 5700 radio stations webcasting online. Meanwhile the Recording Industry Association of America (RIAA), who represent major recording label interests, feels the fees for webcasting should have been set higher. Cary Sherman, President of the RIAA, said "The import of this decision is that artists and record labels will subsidize the webcasting businesses of multi-billion dollar companies like Yahoo, AOL, RealNetworks and Viacom. The rate, which cannot be squared with the decision of the arbitration panel, simply does not reflect the fair market value of the music as promised by the law. This decision will certainly reinforce the steadfast opposition of copyright owners to compulsory licensing." Australia based Metaxas Audio Systems is now using the same "tools" used in Aerospace and Formula 1 to design their product line. Specifically, the Protel PCB software allows for component by component level to the PCB level computer modeling and testing. Small changes can be measured in terms of risetime, overshoot and crosstalk with such options as the "Signal Integrity Simulator" that displays a "Reflection and Crosstalk Analysis". Metaxas Audio Systems entire range has been updated and refined with these new tools while their upcoming flagship Opulence and Soliloquy units will be released in December 2002. Classic Records has just announced an exclusive and in depth interview of conducted by Colie Brice for TheMusic.com. Hear Cameron and Colie discuss Cameron's latest film Vanilla Sky, the future of vinyl, life on the road with Led Zeppelin, and much more! New releases from Classic records include Pete Townshend Another Scoop (DAD), Witches Brew and Rimsky-Korsakoff Scheherezade LP using their new QUIEX vinyl formulation. July releases will include Sarah McLachlan Touch (DAD), Lee Morgan Candy, Ellington Jazz Party (33.3/45 rpm vinyl), Peter Gabriel Car, and Led Zeppelin The Song Remains The Same (two LP set). Enjoy the Music.com has just added two more show reports from the recent PRIMEDIA Specialty Group (Stereophile) show. Chris Boylan and Matt Tulini share their insights of the recent Home Entertainment 2002, the Hi-Fi and Home Theater Event. Click here to read these two new reports. Online discussion board goes crazy and annoyed as what seems to be the 15th "new" posting of the same tubed computer board is once again posted. A popular audiophile discussion board has gone from initially excited to hear about AOpen Inc.'s world's first vacuum tube motherboard as covered here within our June 17th Industry News page, to now being fully annoyed that other forum participants do not check the archives or scroll down to realize this motherboard has been discussed... to death! Some forum members are saying "We are like hamsters, trapped in a spinning wheel of our own making" to "sorry, but we've seen that too" and demanding a tubed answering machine. One can only wonder how long the hamster wheel will turn. Ensemble of Switzerland has now released complete information on their new product line. These new products include the Figura two-way floorstanding loudspeaker, Fuoco, Previvo, Evivo, Fonobrio and Dichrono hi-dac electronics, Powerlink, Isolink Duo and Isolink Uno power accessories and more. The new Figura loudspeaker ($8,900) features an aluminum sandwich body cabinet with 30mm baffle of solid aluminum footplate. The custom 18cm midrange/bass driver is mated to a 25mm tweeter and are time aligned within the cabinet. Sensitivity is 87dB/W/m with an impedance minimum of 6 ohms. Overall frequency response is 30Hz to 30kHz (� 3dB) whole overall dimensions are 250 x 223 x 1020 (WxDxH in mm). Danish Audio ConnecT (DACT) is now offering a new line of eight-channel volume controls to meet the demand from the expected growing market of 7.1 channel Home Theater audio systems. The targeted customer group is both high-end audio equipment manufacturers and DIYs. The new attenuators have eight separate decks to allow simultaneously adjusting the volume of eight audio channels with high precision. The surface mounted metal film resistors are accurate to 0.05dB. This is tighter tolerances that virtually all other methods of attenuations. This new attenuators feature 24 positions of adjustment as is found in other DACT audio attenuators. Available resistance now offered include 10, 20, 50, 100, 250 and 500 kohms. NAT Audio has released their Utopia direct coupling dual mono vacuum tube line stage. This top-of-the-range NAT product consists of two chassis, one holding the critical vacuum tube analog stage while the other contains the power supply, digital controls and all other modules. The analog stage employs military grade 6N23P-EV (6922 equivalent) and 6NP6 tubes in a zero feedback triode implementation. The 100-step volume control uses 16 relays while special DC servo circuitry lowers the DC offset to vanishing low measurements. The power supply receives the same close attention as customized low-density toroidal transformers feed eleven regulated stages per channel and two high quality input AC filters are also included (one for analog power supply transformers and one for the digital supply). Control Unit 19" x 10.4" x 5.5"
Line Stage 19" x 10.4" x 4.3"
Weight (Control Unit) approx. 24 lbs. Weight (Line Stage) approx. 17.6 lbs. Axiom Audio's new M2i bookshelf/stand mounted two-way loudspeaker ($255/pair) . Featuring a 1-inch titanium dome tweeter with a 1-inch voice-coil mated to a 5.25-inch aluminum-cone woofer in a Vortex-Ported enclosure, overall frequency response is rated from 70Hz to -22kHz (+-3dB). Due to the large voice coil within the tweeter, a lowish crossover point of 2,700Hz was chosen to keep the crossover point from negatively affecting the critical midrange. Designer of the M2i, Ian Colquhoun, said "By lowering the crossover frequency to 2,700 Hz, the new M2i has much more linear performance in the critical midrange region. As a result, you get much-improved imaging and much better off-axis response. That gives you an improved midrange, so your vocals are better, with a better soundstage." While Pioneer is about to release a complete home networking system including A/V receivers and universal DVD players with 1394 ports for greater connectivity, they are also keeping an eye on the entry level market. Their new slimline DV-353 DVD player ($199) features a 10-bit/27MHz Video D-A converter and Viter-Bi error correction for video production. The audio sections offers Dolby Digital and DTS surround processing, MP3 playback and features a a 24-bit/192kHz DAC. As Sony's proprietary SACD format has less than a few hundred titles available after years of the format being available, it has been announced that Chesky Records, Heads Up, and Telarc International are lowering suggested retail pricing from $24.99 to $19.99 per single disc release. It remains to be seen if either higher resolution format, SACD or DVD-Audio, will truly reach mainstream consumers with tens of thousands of titles. According to the Consumer Electronics Association (CEA), manufacturer-to-dealer sales of audio products grew to more than $579 million during April 2002. This is an increase of seven percent compared to the same period of 2001. Home audio was not the leader as aftermarket autosound products were largely responsible. Factory-to-dealer sales of aftermarket autosound products increased by more than 21 percent to $201 million and dollar sales of systems increased by 18 percent to $145 million. Year-to-date dollar sales of aftermarket autosound also increased to nearly nine percent over 2001, to $783 million. "Overall, the conversion to CD in the car is continuing to drive the aftermarket audio category and the audio category as a whole," said Sean Wargo, senior industry analyst for CEA. "Despite an overall drop in year-to-date audio sales, the long term outlook for the audio industry remains optimistic as consumers continue to enjoy all the benefits digital audio has to offer." Bad news for high-end audio and the like as separate components were down 1.2 percent as compared to April of 2001 to reach 86.4 million dollars in April 2002. Audio systems fared better with an 18% increase to reach 145.2 million dollars. Click here to see the complete statistics (Adobe Acrobat file). Delivery of music online is going through some twists and turns this week as RealNetworks have announced their new RealVideo 9 and RealAudio Surround to deliver multi-channel surround sound starting at a very low 44kbps. Meanwhile popular peer-to-peer online file trading sites Grokster and KaZaA are hoping to find a way to profit from their millions of users. With Napster virtually dead, the other online music trading communities (where illegal downloads of copyrighted music can be found) are getting the attention of the Recording Association Of America (RIAA) who represent major recording labels. In fact Audiogalaxy has recently settled with the RIAA and have agreed to obtain permission before allowing copyrighted songs on their network. Furthermore, they will be using various technologies to filter out copyrighted songs discovered on their network. FullAudio received $13.5 million in their third round of funding while also reaching an agreement with Bertelsmann's BMG, their fourth major label deal. FullAudio now offers copyrighted music from BMG, EMI Recorded Music, Universal Music Group and the Warner Music Group. Last but most certainly not least, the proverbial 800 pound gorilla AOL-Time Warner have begun selling unprotected music files in the MP3 format of new artists including Brandy, Jewel, Missy Elliot, Alanis Morissette and the Red Hot Chili Peppers. These 99 cent songs are downloaded and can be transferred to many different devices due to not using any copy protection scheme. Sony, long known for aggressive contract tactics with musicians and releasing proprietary music formats, have settled with popular band Dixie Chicks due to allegedly cheating them out of millions of dollars. While the details of the settlement have not been released, with over 20 million album sales and payment of only $4 million, Natalie Maines, Martie Maguire and Emily Robison (Dixie Chicks) filed a lawsuit due to Sony's "systematic thievery". Due to this settlement, their next music release Home will be released on August 27th on Open Wide Records. Linn is sponsoring a special summer event from now until September 30th. Those who currently own a Klout amplifier will receive a guaranteed trade-in value towards the purchase of Linn's new Klimax Twin stereo amplifier. The Twin produces 125 into two channels at 8 ohms (230 wattsat 4 ohms) with an overall frequency response from 7Hz to 35kHz. A similar program is being held for those who purchase a 5125 multi-channel power amplifier, as it will include two stereo Aktiv cards at no extra cost. When a 5125 amplifier is purchased in conjunction with a Sizmik bass reinforcement loudspeaker, all Aktiv cards required to build a full Aktiv system (up to 10 channels) will be included. In the firing line are the big five major record labels (AOL Time Warner's Warner Music, BMG Entertainment, EMI, Sony Music Entertainment, and Vivendi Universal's Universal Music Group) as a class-action lawsuit has been filed in the Los Angeles Superior Court concerning the new protected music discs. Since these new protected music discs do not conform to any of the Compact Disc (CD) standards, such as the "Red Book" that states what a CD should technically be to be universally readable by CD/CD-Rom/DVD drives, they are causing problems with consumer's hardware. In fact these problems could include repair costs and/or loss of data in a computer system! The law firm Milberg, Weiss, Bershad, Hynes and Lerach have filed this lawsuit on behalf of two Southern California consumers. Since these protected music discs may have no warning of the possible damage they can cause when used in various playback devices, this is said to be misleading consumers who may not realize that such protected music discs can cause problems. Of course the RIAA, who only have the record label's interests in mind, is calling the lawsuit "frivolous". Meanwhile many Web sites, including Enjoy the Music.com, feel that this new measure to protect music is illegal and have written articles concerning this issue. The problem is that some of the techniques employed to protected the music data to deter copying also makes the disc unplayable on the millions of computer CD-Rom/DVD-Rom drives. Since many people enjoy music through their computer system it is misleading to not specifically state on these new protected music discs that they will not play on said drives like the normal music CD. "If you use an Apple computer, you can't even get the disc out of the tray. It requires the time and cost of taking the computer into a repair shop and having it removed that way," attorney Nicholas Koluncich, brother of one of the plaintiffs, told the Los Angeles Times. "At the very least, the labels should make sure they sell a product that actually works." AOpen Inc. has announced the world's first vacuum tube motherboard! Their new AX4B-533 Tube Motherboard ($215) incorporates is directly targeted at audiophiles. AOpen decided to employ a single dual-triode for amplifying the audio, though a separate input connector is also provided on the motherboard to allow consumers to use other sound card devices. To reduce the noise factor as found within a computer, their "Frequency Isolation Wall (FIW) is strategically placed at all regions throughout the motherboard that separates each operating frequency regions such as CPU, memory, AGP and PCI where the operating frequency ranging from 133MHz, 66MHz and 33MHz. Cross talk among each regions had been reduced greatly for overall system stability as well as minimize inherit noise that may go to tube amplification circuitry." Audiophile quality MultiCaps and Cardas wire are also used within the motherboard circuitry to insure high audio standards. "We were all together late one night, kicking around lots of crazy ideas when I proposed it would be really cool if we could combine the warmth and depth - tonal realism, if you will - of the sound produced by an audio tube, with one of our state-of the-art motherboards" says Al Peng, product manager at AOpen America Inc., an audiophile for more than 10 years. "Laughter turned into raves a few months later when we did our first lab demo of our unique hybrid creation. The reproduced sound was absolutely amazing. It left everyone stunned. What we realized at that moment was how the limitations of typical audio output from a PC as we knew it, had come to an end - and what we were pioneering was a way to literally combine the best of two audio worlds - old and new." According to their Web site "The AX4B-533 Tube Motherboard comes with latest Intel 845E chipset design and features DDR SDRAM memory channels delivering 2.1 GB/s of memory bandwidth to the processor - maximizing the full performance of the Intel Pentium 4 processor with 533Mhz FSB offers best overall performance and longevity. It comes with a 4X AGP slots; with new ICH4, the AX4B-533 Tube supports 4 ports of USB 2.0 and Ultra ATA/100 interface. With Intel 845E chipset, AOpen's AX4B-533 Tube provides a revolutionary fusion of old and new technology, producing unsurpassed PC audio output that takes full advantage of the Intel Pentium 4 processor's capabilities."